Your teeth are meant to last a lifetime. However, in the past, an infected, decayed, or injured tooth would typically be pulled. Luckily, now there is a way to repair and save your teeth. How? By undergoing root canal treatment. Root canals may get a bad rap, but they actually aren’t as scary as they seem. 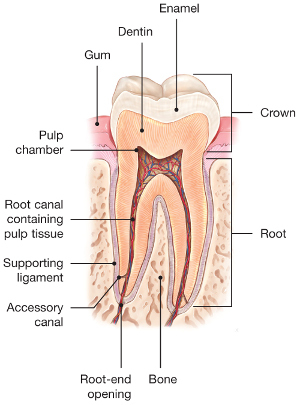 Root canals are one of the most common dental procedures around and have been proven to be perfectly safe. Root canal treatment is a routine procedure that is necessary when the pulp of a tooth becomes inflamed or diseased. During the root canal treatment, your dentist removes the diseased pulp. The pulp chamber and root canal of the tooth are then cleaned and sealed. If you are experiencing any of the symptoms above, don’t worry, our experienced dental team can help. Contact Country Isles Dental to learn more today!